New York – Dana Walden and Gary Newman, Chairmen and CEOs, Fox Television Group, today will unveil the FOX primetime slate for the 2018-2019 television season to the national advertising community during its annual Programming Presentation at the Beacon Theatre. The new comedies joining the lineup this fall are REL and THE COOL KIDS. Inspired by the life of Lil Rel Howery (“Get Out,” “Insecure,” “The Carmichael Show”), REL is a multi-camera comedy starring Howery as a loving husband and father living in Chicago, who finds out his wife is having an affair, and must rebuild his life as a single father, following his divorce. The comedy also stars Sinbad (“A Different World,” “The Sinbad Show,” “Jingle All The Way”), Jess “Hilarious” Moore (“Wild ’N Out”) and Jordan L. Jones (“NCIS: Los Angeles,” “Wisdom of the Crowd”). From executive producer Charlie Day (“It’s Always Sunny in Philadelphia”), THE COOL KIDS is a multi-camera comedy about a rag-tag group of friends living in a retirement community who are willing to break every rule in order to have fun – because, at their age, what do they really have to lose? The series stars four comedy veterans: Tony Award nominee David Alan Grier (“The Carmichael Show,” “In Living Color”), Emmy Award nominee Martin Mull (“Veep,” “Roseanne”), Emmy Award winner Leslie Jordan (“Will and Grace,” “American Horror Story”) and Emmy Award winner Vicki Lawrence (“Mama’s Family,” “The Carol Burnett Show”). Also this fall, hit comedy LAST MAN STANDING joins the FOX lineup. A fan-favorite for six seasons, the series stars Tim Allen as MIKE BAXTER, a married father of three girls, who tries to maintain his manliness, despite being surrounded by women. The series also stars Nancy Travis, Jonathan Adams, Amanda Fuller, Christoph Sanders and Jordan Masterson. LAST MAN STANDING and THE COOL KIDS will anchor a brand-new Friday night comedy block. In its 25th season of NFL coverage, the new THURSDAY NIGHT FOOTBALL PREGAME SHOW will be FOX Sports’ first New York City-based live NFL studio show, complementing FOX NFL SUNDAY, the No. 1 NFL pregame show for the last 24 seasons and the network’s signature program, of which Terry Bradshaw and Howie Long have been an integral part since its inception in 1994. The new THURSDAY NIGHT FOOTBALL PREGAME SHOW will be produced by Executive Vice President of Production, Bill Richards, who also oversees FOX NFL KICKOFF and FOX NFL SUNDAY. Also this fall, 9-1-1, the network’s No. 1 scripted series, returns on a new night and time, Mondays at 9:00-10:00 PM ET/PT. In 2019, additional new series and events joining the schedule include dramas THE PASSAGE and PROVEN INNOCENT; a live musical production of RENT; and a brand-new COSMOS installment, COSMOS: POSSIBLE WORLDS. Based on author Justin Cronin’s best-selling trilogy of the same name, THE PASSAGE is an epic, character-driven thriller written by Liz Heldens (“Friday Night Lights”). Executive-produced by Heldens, Emmy Award winner and Academy Award and Golden Globe nominee Ridley Scott (“The Martian,” “Gladiator”) and writer/director Matt Reeves (“Dawn of the Planet of the Apes,” “Cloverfield”), THE PASSAGE focuses on Project Noah, a secret medical facility where scientists are experimenting with a dangerous virus that could lead to the cure for all disease, but also carries the potential to wipe out the human race. When a young girl (Saniyya Sidney, “Fences,” “Hidden Figures”) is chosen to be a test subject, a federal agent (Mark-Paul Gosselaar, “Pitch”) is tasked with bringing her in, but ultimately, becomes her surrogate father, determined to protect her at any cost – even as Project Noah’s work threatens to unleash an unimaginable apocalypse. Emmy and Golden Globe Award winner and EMPIRE co-creator Danny Strong partners with David Elliot (“Four Brothers”) to tell the emotional story of one woman’s fight for the innocence of others, as well as her own. PROVEN INNOCENT follows an underdog criminal defense firm led by a fierce and uncompromising lawyer, who was wrongfully convicted in a sensational murder case that made her an infamous media obsession, a household name and a national cause célèbre. The drama stars Rachelle Lefevre (“Under the Dome,” “A Gifted Man”), Vincent Kartheiser (“Mad Men”), Russell Hornsby (“Seven Seconds,” “Grimm”), Brian d’Arcy James (“13 Reasons Why,” “Spotlight”) and Tony Award winner Nikki M. James (“BrainDead,” “The Good Wife,” “The Book of Mormon”). Also at midseason, GOTHAM will air its fifth and final season, wrapping up this beloved series in a farewell event that will focus on Bruce Wayne’s (David Mazouz) transformation into the caped crusader. GOTHAM is an origin story of the great DC Comics Super-Villains and vigilantes, revealing an entirely new chapter that has never been told. From executive producer/writer Bruno Heller and executive producers Danny Cannon and John Stephens, GOTHAM follows the rise of Det. James Gordon (Ben McKenzie) through a dangerously corrupt city teetering between good and evil, and chronicles the birth of one of the most popular super heroes of our time. The series also stars Donal Logue, Morena Baccarin, Sean Pertwee, Robin Lord Taylor, Erin Richards, Camren Bicondova, Cory Michael Smith, Jessica Lucas, Chris Chalk, Drew Powell, Alexander Siddig and Crystal Reed. The live musical production of the groundbreaking, Tony Award- and Pulitzer Prize-winning musical RENT comes to FOX on Sunday, Jan. 27, 2019 (7:00-10:00 PM ET live/PT tape-delayed). A re-imagining of Puccini’s “La Bohème,” and set in New York City’s gritty East Village, RENT tells the unforgettable story of seven artists struggling to follow their dreams during a time of great social and political turmoil. Winner of four Tony Awards and the Pulitzer Prize, writer/composer Jonathan Larson’s tour de force continues to offer an inspiring message of hope and friendship. Acclaimed film, television and theater producer Marc Platt (“Grease: Live,” “La La Land,” “Wicked”), along with the estate of writer/composer Jonathan Larson, will executive-produce the live musical event. Airing as a global event on FOX and National Geographic in 180 countries and 43 languages, the Emmy and Peabody Award-winning COSMOS will return for its third season in Spring 2019. It will once again be executive-produced, written and directed by Ann Druyan (NASA’s Voyager Record, “Cosmos: A Personal Voyage,” “Contact”); executive-produced by Seth MacFarlane, Brannon Braga and Jason Clark; and hosted by Neil deGrasse Tyson, the famed pop-culture icon and astrophysicist. Continuing the legacy of its predecessors, COSMOS: POSSIBLE WORLDS will translate the revelations of science into a lavishly transporting experience, taking audiences on a series of spiritual voyages of exploration. The new season will reveal previously uncharted realms, including lost worlds and worlds to come, and those that we may one day inhabit in a thrilling future we can still have. During the 2018-2019 season, several FOX series will celebrate major milestones, including THE SIMPSONS’ landmark 30th anniversary, FAMILY GUY’s 20th anniversary and BOB’S BURGERS’ 150th episode. 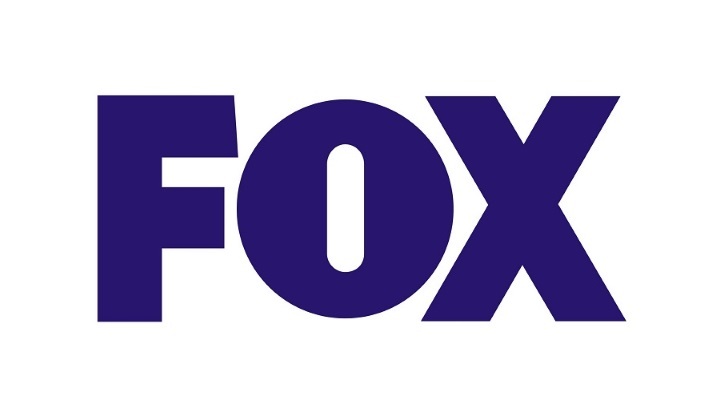 FOX’s full 2018-2019 programming slate is – Dramas: 9-1-1, EMPIRE, THE GIFTED, GOTHAM, LETHAL WEAPON, THE ORVILLE, THE PASSAGE, PROVEN INNOCENT, THE RESIDENT, STAR; Comedies: BOB’S BURGERS, THE COOL KIDS, FAMILY GUY, LAST MAN STANDING, REL, THE SIMPSONS; Live Events: RENT; Event Series: COSMOS: POSSIBLE WORLDS; Unscripted: BEAT SHAZAM, THE FOUR: BATTLE FOR STARDOM, GORDON RAMSAY’S 24 HOURS TO HELL & BACK, HELL’S KITCHEN, LOVE CONNECTION, MASTERCHEF, MASTERCHEF JUNIOR, SHOWTIME AT THE APOLLO, SO YOU THINK YOU CAN DANCE. Additional schedule information and specials to be announced. Seth MacFarlane’s The Orville, which aired on Thursday last fall, will return to the night after end of football, following a Dec. 30 premiere behind a double-header on Sunday. 9-1-1 is getting a post-football launch on Sunday, Sept. 23.